Finally, the leaves on my bradford pear tree have changed color! All others in the neighborhood have already changed and fallen to the ground! My tree is special! Beautiful! 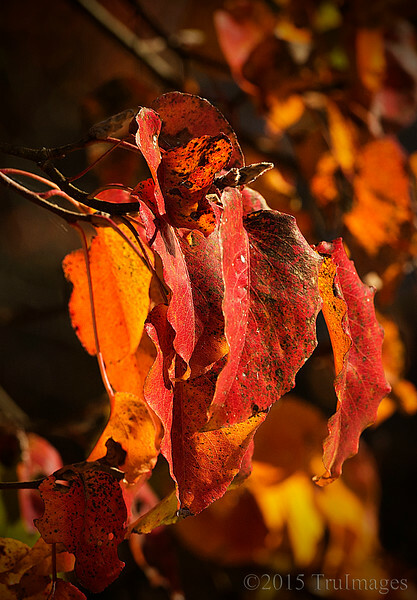 Bradford pears are one of my favorite autumn leaves with their glossy textures and variety of colors! From the thumbnail, I knew it was yours:). Gorgeous colors and light - super duper great shot and I always enjoy your captions and descriptions! Fantastic colors! Wonderful photo. Thank you for your comment today. Alaska is breathtaking. I highly recomm be that everyone has it on their bucket list. Thanks again.